Year three and four dance festival Tuesday 24th. January. 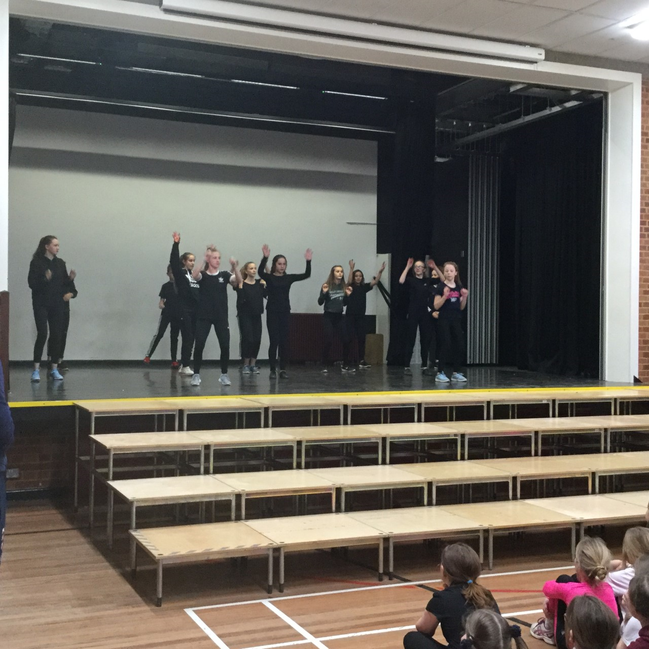 Mr. Waterfield invited our first schools to share a dance experience at school this week. Twelve of the year eight sports leaders had successfully planned a dance based on the year seven Olympic themed dance. They had not had too much practise but gave an enthusiastic and heartfelt performance in front of year threes and fours. They then went onto lead and inspire the younger pupils who were very creative and came up with their own choreography and ideas. Parents were then invited to watch the performances. It was a happy and upbeat event enjoyed by all. Well done to all the sports leaders and many thanks to Mr. Waterfield for all his hard work with the year eight leaders.